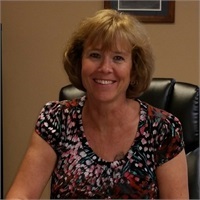 Kathy worked as an Administrative Assistant in the White Bear Lake Area Schools for 34 years and retired June 1, 2013. She began working with her husband, Darrell, as his office manager in the White Bear Lake office in the fall of 2013. Kathy lives in White Bear Lake with Darrell and they have two children with families of their own, including seven grandchildren. Kathy enjoys spending time with family and friends, working out at the White Bear Lake YMCA, many church activities, and travel. She is also a volunteer with the HealthPartners Hospice program. Kathy is not registered with Woodbury Financial Services.